The goal of Task Group 25 (TG-25) of the Radiation Therapy Committee of the American Asso- ciation of Physicists in Medicine (AAPM) was to provide a methodology and set of procedures for a medical physicist performing clinical electron beam dosimetry in the nominal energy range of 5–25 MeV. Specifically, the task group recommended procedures for acquiring basic information required for acceptance testing and treatment planning of new accelerators with therapeutic electron beams. Since the publication of the TG-25 report, significant advances have taken place in the field of electron beam dosimetry, the most significant being that primary standards laboratories around the world have shifted from calibration standards based on exposure or air kerma to standards based on absorbed dose to water. The AAPM has published a new calibration protocol, TG-51, for the calibration of high-energy photon and electron beams. 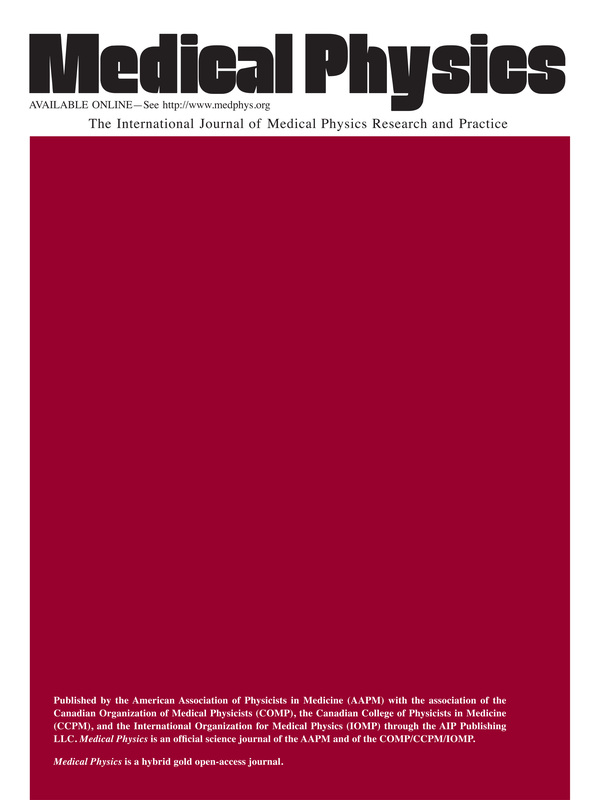 The formalism and dosimetry procedures recommended in this protocol are based on the absorbed dose to water calibration coefficient of an ionization chamber at 60Co energy, N60Co, together with the theoretical beam quality conversion coefficient kQ for the determination of absorbed dose to water in high-energy photon and electron beams. Task Group 70 was charged to reassess and update the recommendations in TG-25 to bring them into alignment with report TG-51 and to recommend new methodologies and procedures that would allow the practicing medical physicist to initiate and continue a high quality program in clinical electron beam dosimetry. This TG-70 report is a supplement to the TG-25 report and enhances the TG-25 report by including new topics and topics that were not covered in depth in the TG-25 report. These topics include procedures for obtaining data to commission a treatment plan- ning computer, determining dose in irregularly shaped electron fields, and commissioning of so- phisticated special procedures using high-energy electron beams. The use of radiochromic film for electrons is addressed, and radiographic film that is no longer available has been replaced by film that is available. Realistic stopping-power data are incorporated when appropriate along with en- hanced tables of electron fluence data. A larger list of clinical applications of electron beams is included in the full TG-70 report available at http://www.aapm.org/pubs/reports. Descriptions of the techniques in the clinical sections are not exhaustive but do describe key elements of the procedures and how to initiate these programs in the clinic. There have been no major changes since the TG-25 report relating to flatness and symmetry, surface dose, use of thermoluminescent dosimeters or diodes, virtual source position designation, air gap corrections, oblique incidence, or corrections for inhomogeneities. Thus these topics are not addressed in the TG-70 report.